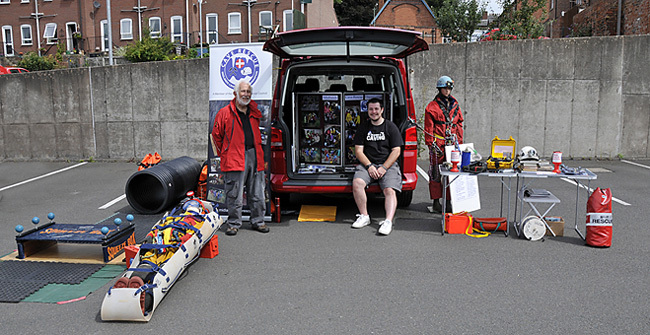 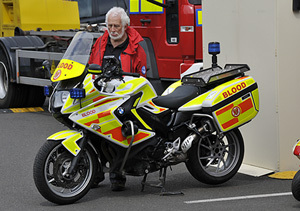 It was a busy and fun day at Shrewsbury Fire Station Open Day on Saturday 5th. 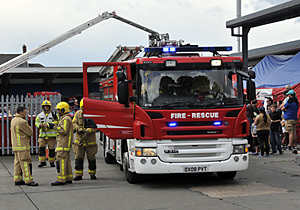 Among the highlights of the day was how to deal with the chip pan fires, cutting a casualty out of a car, rescuing a distraught person from a tall building, plus activities for children - a tour of a smokey inflatable house, plus climbing into fire tenders and displays from Shropshire & Staffordshire Blood Bikes, Shrewsbury Street Pastors, and MCRO. 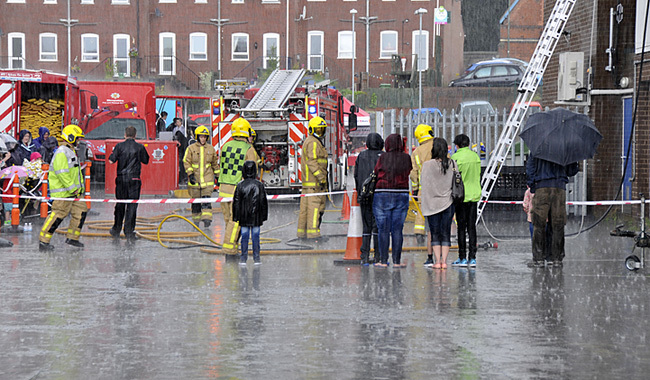 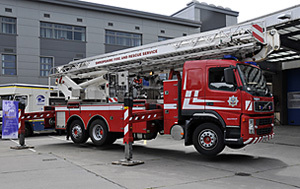 Even a sudden thunder storm didn't put the visitors off - bravely watching the Fire Service run through a ladder drill during the heavy rain - while some of us sheltered under a nearby canopy!